Please join Overlake Terrace and 40+ industry professionals for our quarterly mixer! Our Executive Chef, Jason Codding, will be pairing delectable desserts prepared by our culinary team with wines from the Northwest. Bring a friend or two and a few business cards! RSVP to Overlake.FD@Stellarliving.com or call (425) 883 – 0495. 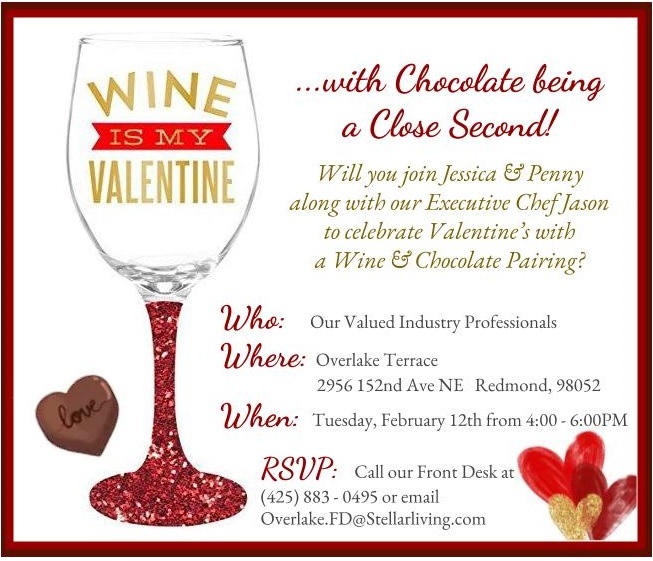 ← Girl Scout Cookie and Wine Pairing event!